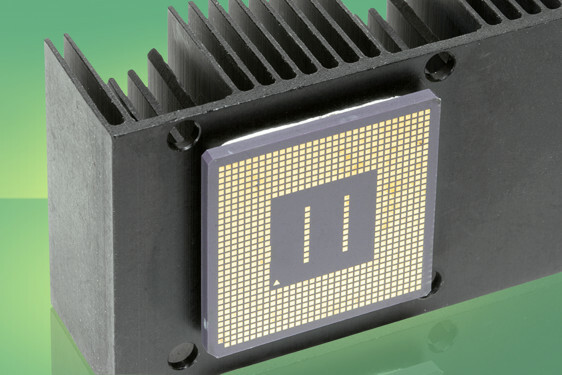 As electronics becomes both smaller and with higher circuit density, heat can become an unwanted by-product, hence the need for thermally conductive adhesives. The Polytec PT range from Intertronics meets that need in the form of a range of high technology single and two-part systems designed for applications where heat transfer is essential. These include chip bonding, heat sink bonding, thermistors, LED assembly and power semiconductor packaging. New applications in general electronics packaging, opto-electronics, hybrid microelectronics and automotive can be catered for with specific formulations. The Polytec PT epoxy range offers thermal conductivities up to 3 W.m-1.K-1 – significantly higher than more general industry norms. They are supplied in process convenient packaging, including twin packs or as premixed and frozen syringes, eliminating both mixing and mess. On-site mixing options include the preeflow eco-duo 450 high precision dispensing system, or the Thinky planetary mixing systems which degass and mix in disposable containers for added convenience.